max size can be 300*180cm, size can be custom. 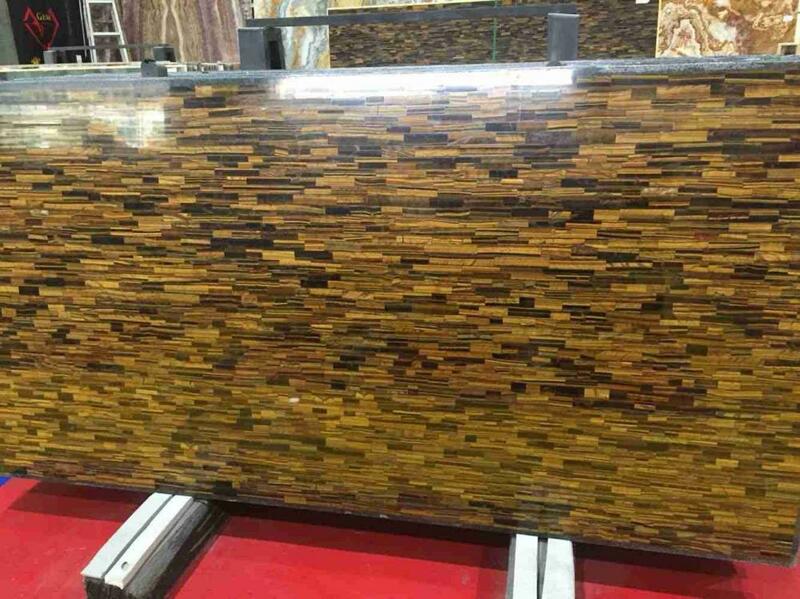 Mainly being applicated as wall tiles, table top, countertop..
We normally produce translucent tiger eye stone slab with small blocks,if you prefer this tiger eye backlit stone panels to be translucent, you can laminate the slab with glass or acrylic. 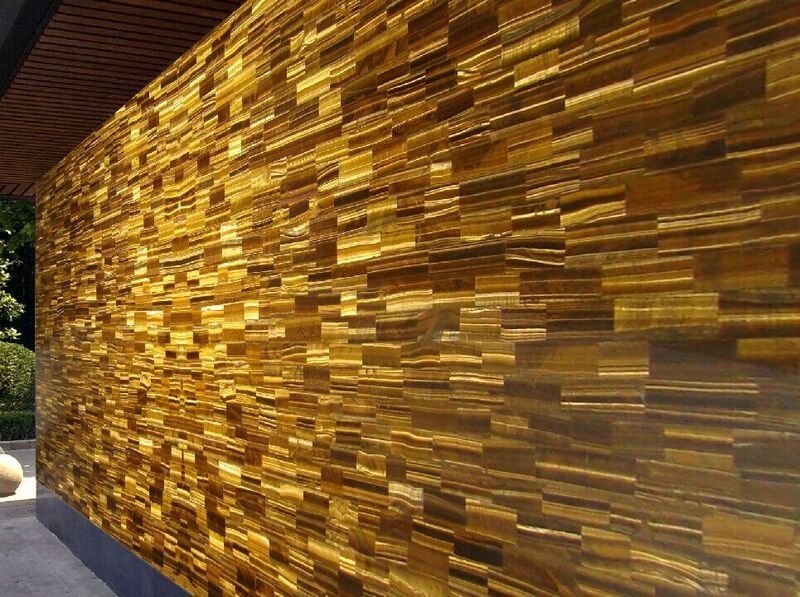 Translucent Tiger eye is full of bright and fantastic colors and warm atmosphere. Color: yellow, other color series such as yellow and blue, blue tiger eye. Size: 240*120*2cm normally, max size can be 300*180cm. size can be custom. Looking for ideal Tiger Eye Stone Manufacturer & supplier ? We have a wide selection at great prices to help you get creative. 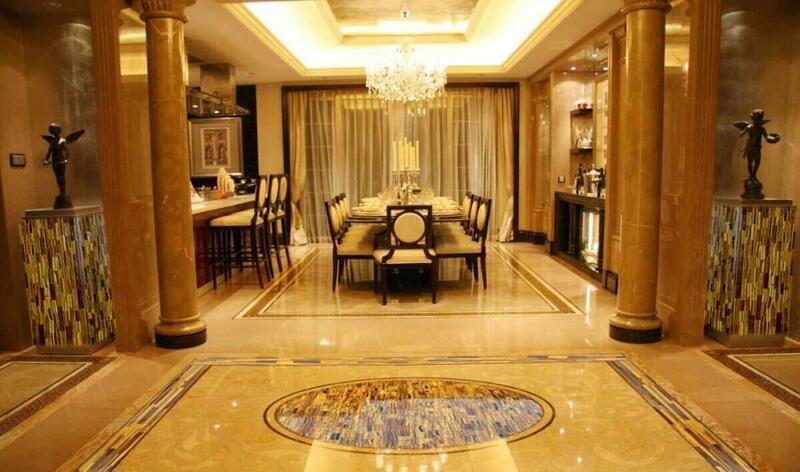 All the Tiger Eye Stone Price are quality guaranteed. We are China Origin Factory of Tiger Eye Gemstone. If you have any question, please feel free to contact us.